3 Woman PS2 8th 12th 78,034 (7.8) 100% 215 Jun. 6, 2007, 9:34AM Better. 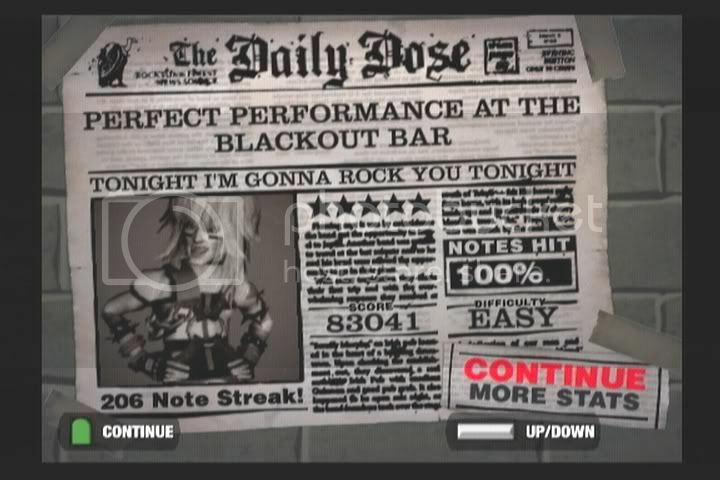 3 Tonight I'm Gonna Rock You Tonight PS2 11th 17th 83,041 (7.7) 100% 206 Jun. 15, 2007, 7:15PM My Second! 1 War Pigs PS2 18th 23rd 175,223 (7.9) 100% 567 May. 16, 2007, 5:45AM Too much work. 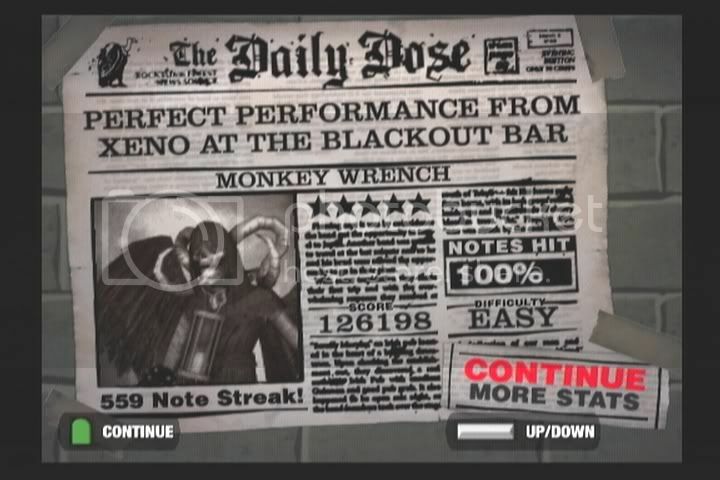 2 Can't You Hear Me Knockin' PS2 14th 24th 115,083 (7.4) 100% 360 May. 17, 2007, 3:04AM Cdw &gt; Me. 1 Sweet Child O' Mine PS2 9th 14th 182,194 (7.5) 100% 579 May. 18, 2007, 2:49AM Silly Ticks. 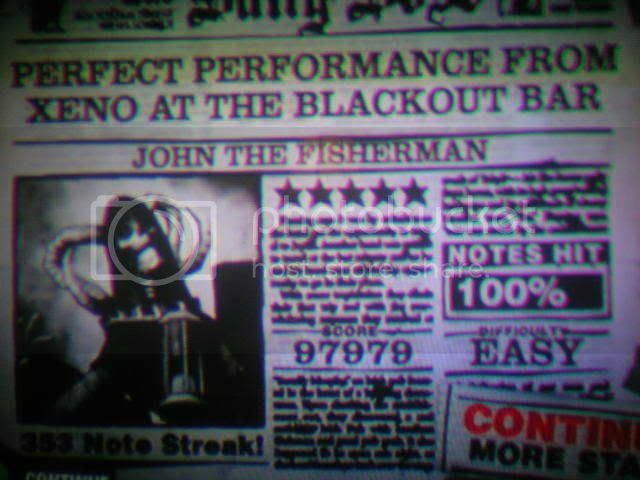 2 John the Fisherman PS2 10th 14th 97,979 (7.5) 100% 353 Jun. 6, 2007, 4:10PM Saw the squeeze. 2 Bad Reputation PS2 26th 38th 76,986 (7.7) 100% 268 Jun. 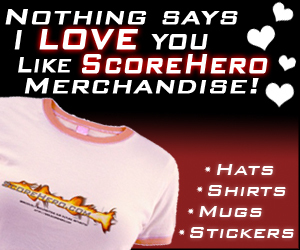 15, 2007, 8:08PM Nubsauce. 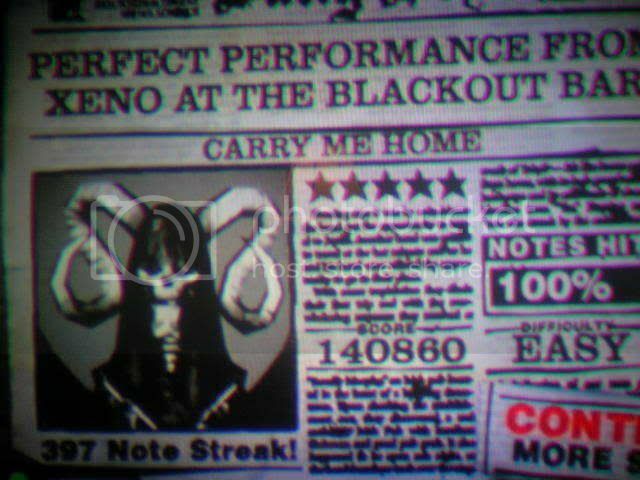 3 Carry Me Home PS2 12th 19th 140,860 (8.1) 100% 397 Jun. 6, 2007, 3:33PM Chord Squeeze? 1 X-Stream PS2 18th 25th 243,310 (6.9) 100% 771 May. 19, 2007, 5:07PM Too much work.